Merlot – from the old French word for young blackbird; seemingly the only creature that loves the grape resolutely, unaffected by films or fads or medical studies. Amongst us humans however, it is loved and loathed in equal measure. Bridget Jones influenced a whole generation of Chardonnay consumption, and in a similar fashion Merlot has been a victim of the fickle consumer. Just ask pasta carbonara, or asparagus. So what is Merlot? Well it’s a black grape, originating in Bordeaux and found now in most wine-producing countres (with clay soils). It typically gives soft, velvety wines with classic aromas and flavours of plum, blackberry and cassis. In comparison with its sistah Cabernet Sauvignon, it ripens earlier on the vine, and tends to mature more quickly. This can make it more approachable to the everyday wine drinker. When they are blended together, like in many parts of Bordeaux, Merlot adds body and softness to the mix, a bit like the Munster midfield. Merlot really took off after an infamous 1991 US news program broke a story around the beneficial effects of red wine on health. They put forward the ‘French Paradox’ phenomenon; questioning the low rates of coronary heart disease in a country that insists on eating rich, fatty foods. The apparent reason for this contradiction is red wine consumption, namely the presence of the resveratrol chemical. The world subsequently went bananas for Merlot, as it was easy to pronounce and its soft, fruity style was attractive to many wine drinkers. Wine makers could not keep up with demand and plantings appeared everywhere, unfortunately much of it in the wrong places, like in cool climate coastal regions. The Merlot grape would not ripen properly in these areas, resulting in bitter, astringent, vegetal-tasting wine flooding the market. Merlot became the victim of its own early success. The film’s effect on wine industry was profound. By the time the film was awarded an Oscar three months after its release, sales of Merlot in the US had already dipped 2%, with Pinot Noir jumping 16%. People across the country rushed to their local shops and supermarkets demanding the ‘Sideways wine’. Retailers capitalised by running Pinot Noir promotions and festivals. Many winemakers immediately yanked out their Merlot vines and replaced them with Pinot Noir. In fact, in 2003 wine makers in California planted 840 acres of Merlot, but in 2008 only planted 39. Compare this with Pinot Noir plantings in the same period: from 600 acres in 2003 to 1,796 in 2008! The delicious irony of the whole film is that by the film’s end, *WARNING! PLOT SPOILER! * we see a dejected and depressed Miles in a grotty fast food cafe, drinking his prized bottle of 1961 Chateau Cheval Blanc from a paper cup. In fairness, Miles wouldn’t be the first person to make the mistake of roundly denouncing Merlot yet lavish praise on a Saint Emilion wine like Cheval Blanc – this particular bottle would have contained 39% Merlot, and 0% Pinot Noir. Ruling out Cheval Blanc early in the running, I decided to see what was out there in terms of affordable, approachable Merlots. I dropped in to my local Oddbins off-licence and asked for three decent Merlots under a tenner (each). Surprisingly they couldn’t fulfil my request, obviously due to a lack of demand for such a thing, but we compromised on similar wines. Disappointing. Decent nose – dark fruits with a bit of cinnamon. 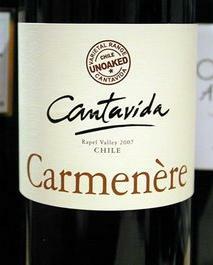 On the palate – dark, dried up fruits, an unpleasant meaty finish which strangely reminded me of queso campesino. Too dry. Past it. Even Paul Scholes has more life left in him. 4/10. To confirm the results of my taste test, I got three of my women around to try them (I DARE YOU to argue the validity of this test!). Two of them preferred the Carménère, and one chose the Merlot. The Bordeaux was still demolished, but only because it was after 10pm and, living in the oppressive nation of alcoholic fiends that is Ireland, the off-licence was shut.